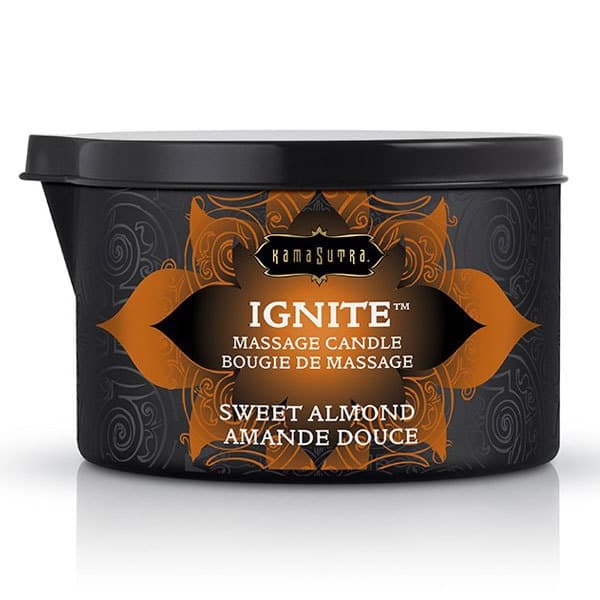 Kama Sutra IGNITE Massage Oil Candle Strawberry Dreams. The Strawberry Dreams Kama Sutra IGNITE Massage Oil Candle melts into a delightful pool of aromatic massage oil. Kama Sutra IGNITE Strawberry Dreams Massage Oil Candle. 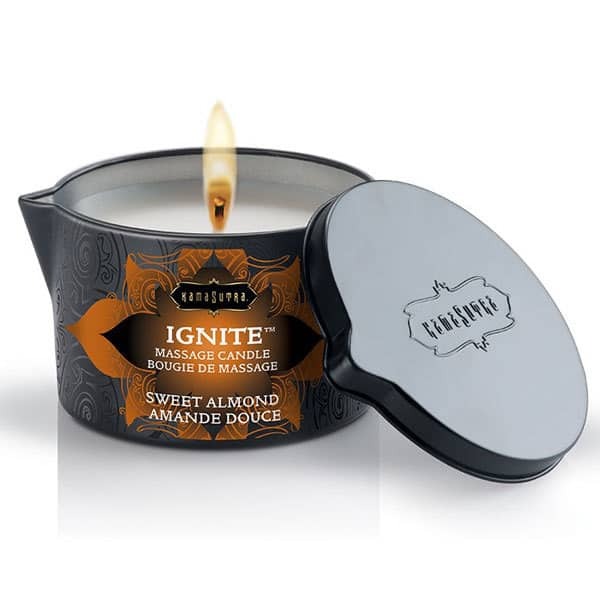 This gorgeous Kama Sutra IGNITE Massage Oil Candle melts into a luxurious massage oil that feels amazing as it glides across your skin. 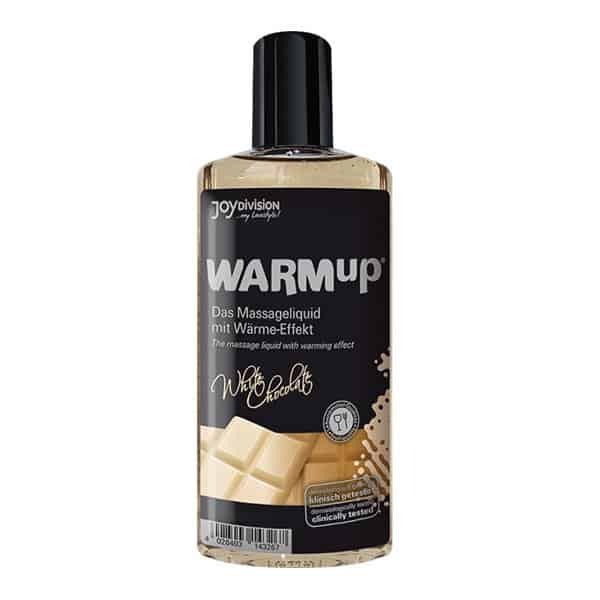 This range of exotic massage oils are formulated using skin conditioning elements such as Shea butter, coconut oil and Vitamin E.
To use, trim the wick, light the canlde and let it burn for 5-10 minutes, until it forms a pool of warm, sweetly scented oil. Extinguish the flame and pour the warm oil on the part of the body you wish to massage. Free from wax, all Kama Sutra candles burn and melt at a low temperature so they are safe to pour directly on adult skin. 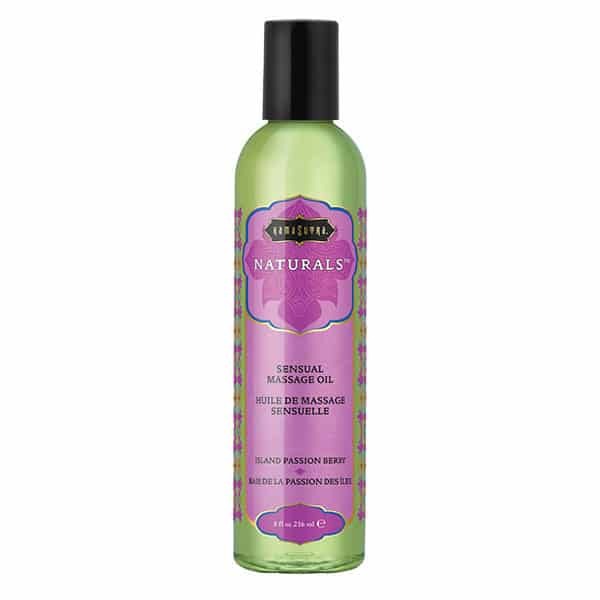 The use of massage oils to help lubricate the skin is a great way to make any massage experience more enjoyable. Brought to you by Kama Sutra, this clever candle emits a delicious strawberry scent that leaves your skin smelling delicious for hours after application.